In her speech to the United Nations before its vote on a resolution condemning the Trump administration’s recent decision to recognize Jerusalem as the capital of Israel and move the embassy from its current location in Tel Aviv to Jerusalem, Nikki Haley reminded the body of the United States’ large contribution to the UN operating budget, threatening that the US could stop its contributions over such a vote. 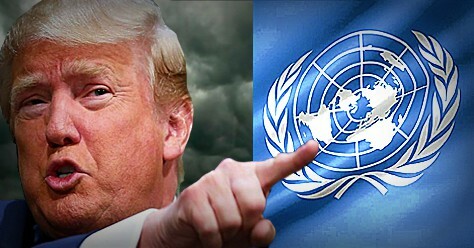 “But I will be honest with you, when we make generous contributions to the UN, we also have a legitimate expectation that our goodwill is recognized and respected…We have an obligation to demand more for our investment, and if our investment fails, we have an obligation to spend our resources in more productive ways. Those are the thoughts that come to mind when we consider the resolution before us today.”  On its face, she is telling the truth: the United States is by far the largest contributor to the UN budget contributing 22% of the organization’s budget. Additionally, there are other expenses that New York City covers simply by the fact that the General Assembly convenes in Manhattan. To UN observers, the implication of her speech was clear: either the UN aligns itself to the will of the United States (as personified by the Trump Administration) or the United States will turn off the lights. This is Trump’s “America First” policy in a nutshell. All of this comes back to the first political vendetta I wrote about: America First v. Globalism. Should the United States continue to use its harsh rhetoric and threats to cajole the rest of the world into following its demands, or should the United States return to the norms of international diplomacy that it helped create? Many people believe, like the President, that the United States should be able to force the rest of the world to kowtow to our interests, whether that is through leveraging our support of NATO, the UN, and other transnational organizations, or as a result of our military might. Others argue that these transnational organizations are the greatest guarantors of peace and prosperity throughout the world, and that abandoning them would actually harm America’s security. While we may save money in the short term by reducing support to the UN and NATO, we would sacrifice American values in doing so. A UN without American support can no longer operate in poor countries to maintain peace, provide humanitarian aid, and relief to refugees. A NATO without the support of the United States leaves Europe open to Russian military aggression as seen in Ukraine. While agreements like the Paris Climate Accord aim to reduce our dependence on fossil fuels and in the long term would roll back the size of the American oil, gas, and coal industries, our refusal to remain in the Accord also means we’ve lost our credibility on the issue of climate change and are more likely to have future terms in climate agreements dictated to us rather than having an active role in their development. Likewise, withdrawing from the Trans Pacific Partnership may preserve some manufacturing jobs and domestic sovereignty, but it also means that we have no influence on a large trading bloc’s rules. So what can be done? While many openly discuss the prospect of Trump being removed from office, whether through the 25th amendment or as a result of Robert Mueller’s Russia investigation, it is unlikely that any replacement (whether it be Vice President Pence or someone else) will reverse the decisions Trump has already made. President Trump is the President of the United States for the foreseeable future; what we need to do as Americans is to actually engage with international affairs. Our geography has allowed us to maintain our distance from the geopolitical hotspots of Europe, the Middle East, and East Asia since our inception. Our relative isolation with only two land borders with allied countries has allowed us the domestic security to not have to worry about events “over there” for a long time. But that era is over; as countries like China and India rise in economic importance, the our ability to maintain uncontested economic dominance has vanished and we can no longer monopolize the global agenda as we did in the decade after the Cold War. We have to win back the goodwill of the world and that begins by learning about it. In order to win back the goodwill of the world, we need the President to be forced to act like a normal president. While that is unlikely, Congress can tie his hands on many issues and force him to do things he may not want to. In this case, it is important that we show some good faith by demanding the Congress not appropriate a single dollar for the relocation of the US Embassy in Tel Aviv to Jerusalem. While the act of recognizing Jerusalem prior to the completion of Israeli-Palestinian negotiations can only be taken back by a President. In preventing the move of the Embassy, the act will only exist on paper and is much more easily reversed than having Embassy staff change offices twice within 3-8 years. Make your voice heard on this and tell your Congressperson to reject any money for this move as it not only strains our alliances in Europe and North America but threatens to derail the peace process. United States. New York City. Mayor’s Office for International Affairs. United Nations Impact Report 2016. Accessed December 31, 2017. https://www1.nyc.gov/assets/international/downloads/pdf/UN_Impact_Report.pdf. Trump, Donald J. “The United States Has Foolishly given Pakistan More than 33 Billion Dollars in Aid over the Last 15 Years, and They Have given Us Nothing but Lies & Deceit, Thinking of Our Leaders as Fools. They Give Safe Haven to the Terrorists We Hunt in Afghanistan, with Little Help. No More!” Twitter, Twitter, 1 Jan. 2018, twitter.com/realDonaldTrump/status/947802588174577664. Lynch, Colum. “Nikki Haley’s Diplomacy of Revenge Targets U.N. Relief Agency.” Foreign Policy. January 07, 2018. Accessed January 09, 2018. http://foreignpolicy.com/2018/01/05/nikki-haleys-diplomacy-of-revenge-targets-u-n-relief-agency/. Trump, Donald J. “It’s Not Only Pakistan That We Pay Billions of Dollars to for Nothing, but Also Many Other Countries, and Others. As an Example, We Pay the Palestinians HUNDRED OF MILLIONS OF DOLLARS a Year and Get No Appreciation or Respect. 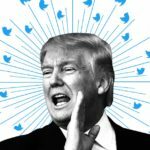 They Don’t Even Want to Negotiate a Long Overdue…” Twitter, Twitter, 2 Jan. 2018, twitter.com/realDonaldTrump/status/948322496591384576. Trump, Donald J. “North Korean Leader Kim Jong Un Just Stated That the ‘Nuclear Button Is on His Desk at All Times.’ Will Someone from His Depleted and Food Starved Regime Please Inform Him That I Too Have a Nuclear Button, but It Is a Much Bigger & More Powerful One than His, and My Button Works!” Twitter, Twitter, 3 Jan. 2018, twitter.com/realDonaldTrump/status/948355557022420992. Trump, Donald J. “With All of the Failed ‘Experts’ Weighing in, Does Anybody Really Believe That Talks and Dialogue Would Be Going on between North and South Korea Right Now If I Wasn’t Firm, Strong and Willing to Commit Our Total ‘Might’ against the North. Fools, but Talks Are a Good Thing!” Twitter, Twitter, 4 Jan. 2018, twitter.com/realDonaldTrump/status/948879774277128197. Glasser, Susan B. “Politico Magazine.” Politico Magazine, 5 Jan. 2018, www.politico.com/magazine/story/2018/01/02/donald-trump-foreign-policy-analysis-dangerous-216202. Baker, Peter. “Trump Abandons Trans-Pacific Partnership, Obama’s Signature Trade Deal.” The New York Times, The New York Times, 23 Jan. 2017, www.nytimes.com/2017/01/23/us/politics/tpp-trump-trade-nafta.html. Gray, Rosie. “Trump Declines to Affirm NATO’s Article 5.” The Atlantic, Atlantic Media Company, 25 May 2017, www.theatlantic.com/international/archive/2017/05/trump-declines-to-affirm-natos-article-5/528129/. Liptak, Kevin. “WH: US Staying out of Climate Accord.” CNN, Cable News Network, 17 Sept. 2017, www.cnn.com/2017/09/16/politics/trump-paris-climate-deal/index.html. Wike, Richard, et al. “U.S. Image Suffers as Publics Around World Question Trump’s Leadership.” Pew Research Center’s Global Attitudes Project, Pew Research, 26 June 2017, www.pewglobal.org/2017/06/26/u-s-image-suffers-as-publics-around-world-question-trumps-leadership/.